Can't wait to receive your copy in the mail? Fill out the form below to download your guide today! 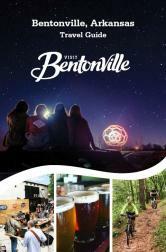 You are moments away from downloading your Bentonville Travel Guide. To better help us understand our visitors, can we please have your zip code? Checking this box opts you in to our e-newsletter. You may opt out at any time.